In Lost and Founder, Rand Fishkin, the founder of search engine optimization company Moz, shares his experience on starting a consulting business and turning it into a product company. It’s very common to start a services business, and he shows some counter-intituive scenarios on how a consulting business could be a better financial deal as a founder. It was also eye opening to see the sort of multipliers VC firms expect during a sale, and how incentives can be misaligned between founders and VCs. 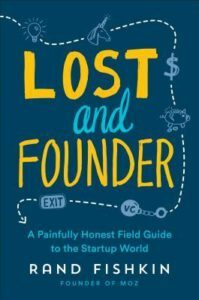 The book contains a lot of advice on how to manage people, run a company as a CEO, as well as lessons learned from launching a MVP, raising VC money etc. Overall, it was an interesting read based on real experience. This book is for you if you’re running a service business or if you’re interested in startups!